Yesterday, I had a cup of tea with Eva Abbinga, an artist who is creating a sculpture and quilts, inspired by the Rajah quilt. She showed me some of the quilts that will form part of her installation and talked about stories that are ‘written’ into the quilts. 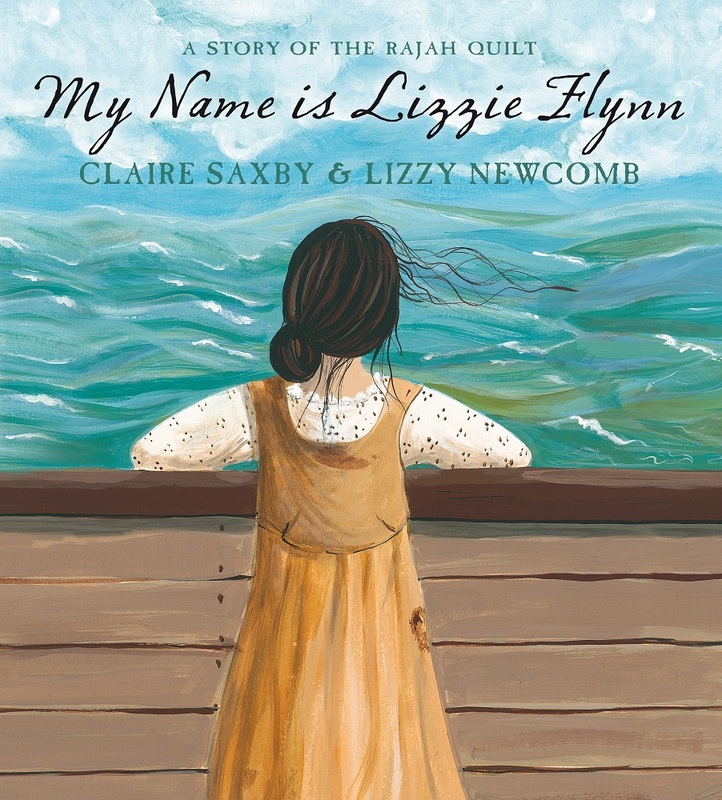 The quilters, like those on the Rajah, had varying degrees of experience in quilt-making before agreeing to participate in this project. The fabric is hand-dyed and there are embroidery panels and both simple and complex quilting designs. The panels were amazing individually but will be even more so when the quilt and project is complete. 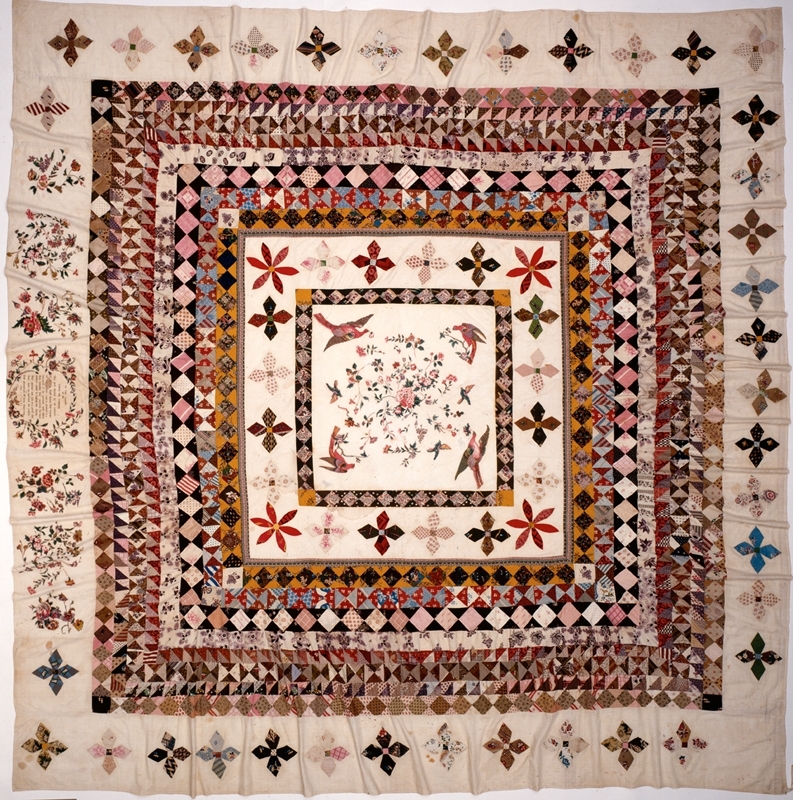 The Rajah quilt is full of stories, and it’s wonderful that it continues to gather stories. 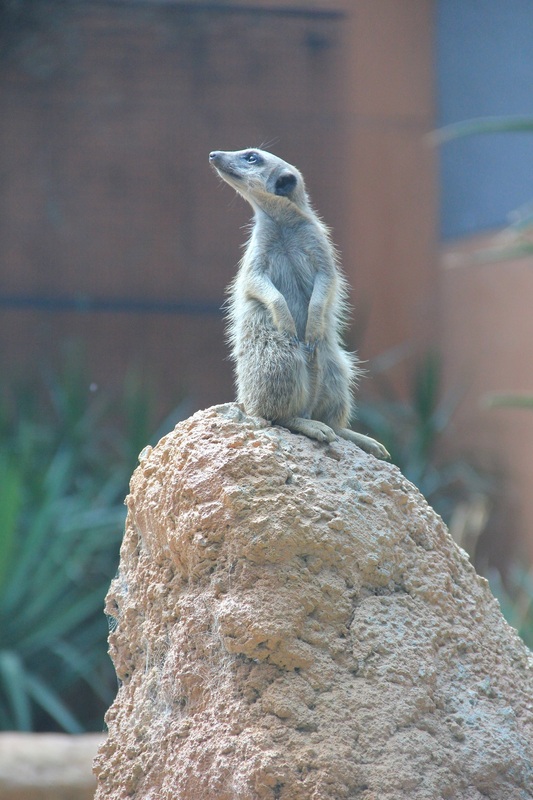 And now for your Friday meerkat. 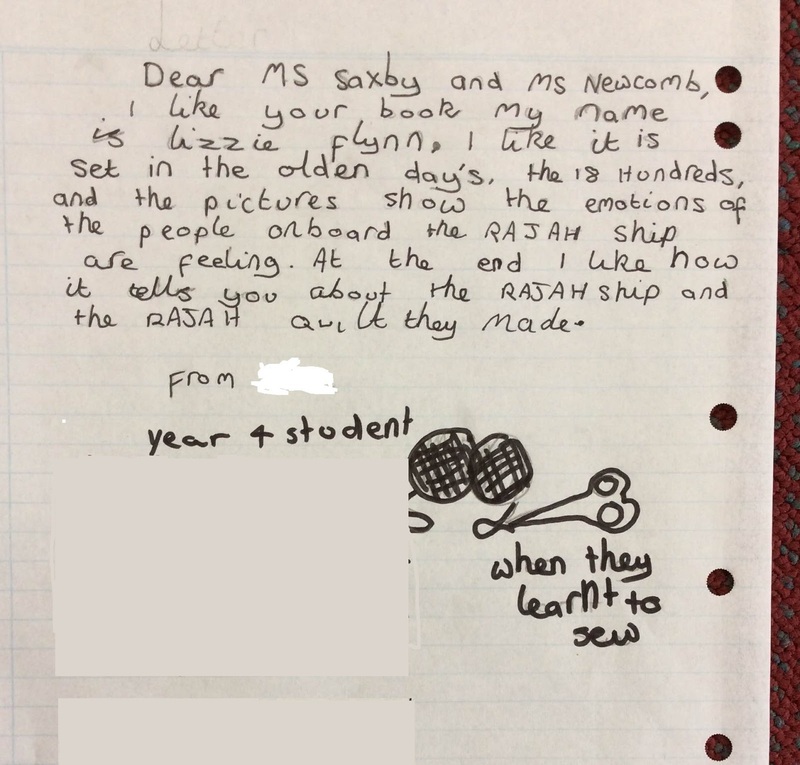 A wonderful Yr4 teacher just sent me this. Thrilled I am. Emu has been shortlisted for the Environment Award. Then there was lunch with Walker and Black Dog peoples from both sides of book-making. I received my copies of the US version of ‘Emu’. It has a dust jacket and looks very swish. That evening I was lucky enough to attend the announcement of the Text Prize. There was a shortlist of four manuscripts and Kimberley Starr won with The Book of Whispers. Look forward to seeing this novel set in the 11C making its way into print. Friday signalled the beginning of Reading Matters. So many wonderful sessions, so many people to catch up, and to meet. I actually had a conversation with someone who teaches at the school where I was a boarder (many moons ago). What are the odds? The conference opened with a panel of YA readers and finished with video ‘Shelfies’ from more young readers. Both groups were wonderfully articulate and thoughtful. Laurie Halse Anderson (US) was amazing, as was Sally Gardner (UK). Priya Kuriyan shared her illustrations. Highlights for me included the discussion between Sean Williams and Jaclyn Moriarty about Science and Magic and the panel with Laurie Halse Anderson and Sally Gardner – very different but equally passionate. I also love the opportunity to mix with so many book people. I saw some sketches for an upcoming book (oh my giddy aunt they’re gorgeous! ), and realised why another manuscript is still not ready to be a book. There was a wonderful reception in the beautiful Queens Hall in the State Library and then a dinner at Supper In, Melbourne icon. I came away exhausted but full of ideas and inspiration. Sunday included a celebration for son2’s birthday. Always lovely to be surrounded by my boys and their girls. This morning sees the official release of two new books. 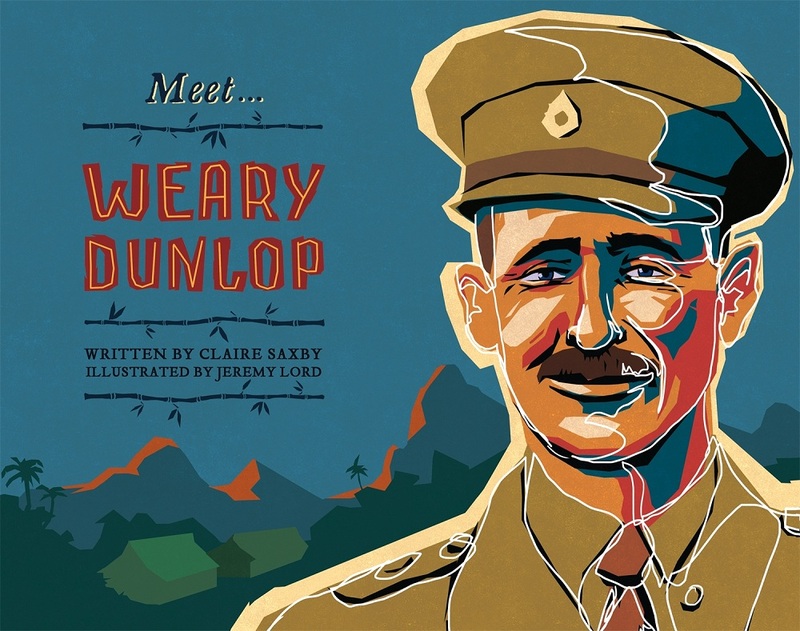 ‘My Name is Lizzie Flynn’ and ‘Meet Weary Dunlop’. Asking me to choose a favourite is like asking me which of my children I love best. I hope they both find their way in the book world and that readers enjoy them.